Pivotal, last valued at $US2.8 billion, has filed to go public. Dell, the largest shareholder in Pivotal, is set to retain a controlling stake after the initial public offering. The numbers show that while Pivotal is not profitable, losses are narrowing and revenue is up 22% year over year. Pivotal began life as a small software consultancy that worked with companies like Google and Twitter in their earliest days. EMC bought Pivotal in 2012 and then spun it back out in 2013. Pivotal, the $US2.8 billion software company that began as a spinoff of EMC and VMware, on Friday filed to go public, adding to a growing list of tech companies seeking to make a Wall Street debut this year. Pivotal, which sells cloud-computing services to large corporations and offers consulting services, generated about $US500 million in revenue last year but has lost money every year since it was formed, according to its S-1 filing with the Securities and Exchange Commission. While Pivotal did not specify how many shares it planned to sell, it said Dell would continue to have a controlling stake after the initial public offering. “Dell Technologies can effectively control and direct our board of directors,” Pivotal said in the risk statements included in its prospectus. It also noted that it had no agreements with Dell that would prevent the two companies from competing in some businesses. 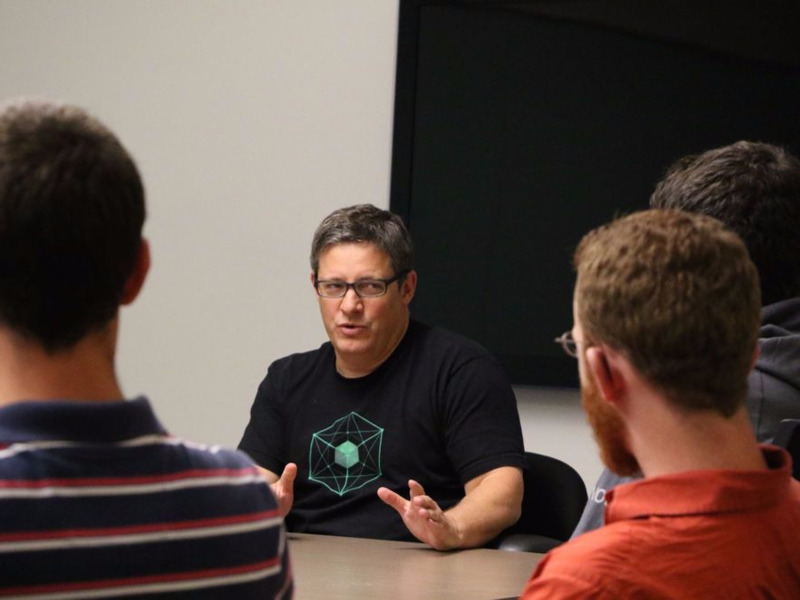 Pivotal’s general mission is to help even the largest companies build the technology and engineering culture to compete with tech behemoths. It had raised $US1.7 billion in venture-capital funding since it was spun out in 2013. When Dell and EMC merged in 2016, Dell became a majority shareholder in Pivotal. Other investors include Ford and Microsoft. Earlier Friday, Dropbox debuted on the public market, popping as much as 50%. Several other private tech companies – particularly those focused on enterprise technology, such as DocuSign and Zuora – have also recently filed paperwork for IPOs. Some industry insiders expect about 50 tech companies to go public this year, following several years of historically sparse listings. Pivotal’s filing shows that it is still not profitable – it lost $US163 million last fiscal year, compared with a $US232 million net loss the year before. Pivotal posted annual revenue of $US509.4 million in that period, up 22% from the year-ago period. It’s also showing gross margins of 55% for the fiscal year, up from 44% a year ago. The company did not say which exchange it planned to list on and did not provide a ticker symbol. Pivotal says it plans to raise $US100 million in the offering, but that figure is often a placeholder until a final number can be calculated closer to the actual list date. Pivotal has had a somewhat unusual road to this IPO. It was founded by Rob Mee in 1989 as a small software consultancy that eventually grew until it was taking on clients like Google and Twitter in their earliest days. In 2012, EMC bought Pivotal in an all-cash deal, only to spin it back out as a new company called Pivotal Software, with Paul Maritz – an industry legend who had most recently served as the CEO of EMC’s subsidiary VMware – as its chief executive. In 2015, Maritz stepped down as CEO but remained the chairman of the board, while Mee stepped up to retake the reins as CEO.